So you want to do an online Tarot reading, but you need a little help getting started? There are so many great options it's hard to know where to begin, and we know you have a lot of questions. 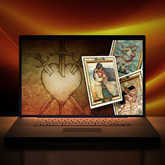 Let us walk you through how to do the most authentic online Tarot reading for you. It's a question we get a lot, and you may be surprised when you hear our answer: It's even more authentic. Why? Because you're doing the reading. 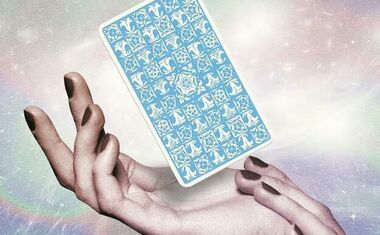 There are a lot of gifted Tarot readers out there, but as you probably know, there are also a lot who aren't. When you're doing an online reading, you're tapping into your own intuition, which, if you didn't already know, is pretty smart and trustworthy. How does online Tarot work? By combining interactivity, a meditative online environment and your own unique energy, we help you pull the answers from within you. 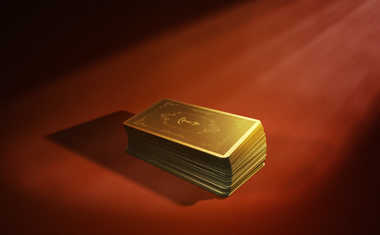 By giving you the tools -- in-depth meanings of the cards specific to their unique positions, advice for using the information you're given, and the ability to analyze groups of Tarot readings to find patterns -- we put YOU in control of shaping your own destiny. And we think that's pretty empowering. How do you choose the topic of your Tarot reading? It's best to start with the basics. For example, if you have questions about your love life, start here: Are you single or in a relationship? Tarot.com offers online love Tarot readings that will help you find love if you're looking, deepen your existing relationship or iron out the kinks in troubled partnerships. If it is money or your career you're concerned about, you can do different readings to find out how to get ahead at your current job, whether or not it's time to start looking for a new job, or even get tips on how to manage your money or achieve greater wealth. There are readings for health and wellness that can help you manage illness or simply find inner peace. There are readings to help you manage your family and household, improve your Karma or even unlock secrets from your past lives. You can also ask general questions for daily insight, get answers to simple yes or no questions or ask a single burning question. There's no limit to how many Tarot readings you can do or how many topics you can choose from. Once you've determined your question and the topic of your reading, it will be much easier to choose from our many Tarot readings and find the best one for you.